Jade’s people skills combined with her entrepreneurial ability makes Jade the perfect fit for this role. 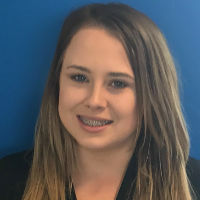 Her warm, friendly and professional approach when dealing with candidates gives Jade a unique ability to bring the best out in candidates and subsequently match them with their ideal position. She is a member of a theatre group and constantly brings this passion and energy to her role here in Recruit First IT.